December is plugging along, and it's hard to believe the month is half over! Its early days were beautiful. Autumn arrived late and lingered longer than usual, so the color and mild temperatures were still here to enjoy at the beginning of the month. turn this year, and never fails to offer eye-catching color. An evening fire in the woodstove was enough to warm the house. Sam never fails to get a comfy spot in front of the fire. The girls come along to hunt acorns and choice leaves. or raking leaves to mulch the garden. between the brown and green that makes me happy. And we do have plenty of leaves to rake. Meowy in the leafy woods. the temp didn't get below freezing so it didn't stick for long. in this one and find the slow cooker works well to cook it down. and bone broth and soup from the frozen bones. Bone broth. Next I'll strain it and can it. Besides working on the barn, Dan took down the last of our two old oak trees. but this past summer was the end of it. It's dead now. Always sad to see old trees die, but they inevitably do. Lots of firewood tho. But! New life elsewhere. In the garden some of my late planted seeds are starting to sprout! Every time I see honeybees I can't help but wonder where they came from and if they didn't originate from one of my absconded hives. We're eating lots of salads, and still have the last of summer's tomatoes ripening in the house. Our first frost was at the end of October and I picked these the day before. Pretty soon I'll be pulling the rest of the tomatoes out of the freezer and making more pizza sauce. Also starting to dream over seed catalogues. Catalogues from Sow True, Baker Creek, and Strictly Medicinal. I haven't ordered seeds in several years, but I've really got a hankering to try something new! So how is your December faring? Care to share? I love Baker Creek and Strictly Medicinal, but haven't heard of Sow True. You reminded me I have bones in my freezer for bone broth. Kristina, Sow True is a new one for me too. What I really like about their catalogue is that it's geared toward the seed saver. So not only do you get planting and harvesting information, but also everything you need to know about saving the seed. Prices aren't bad either. One of these days I would like to get a freezer large enough that I can do preserving and canning in the winter months but alas, we just don't have the room. What a funny winter it has been. My brother in Alabama has received more snow (11 inches) this year than we have this year (0 inches) and all of last year (maybe 6 inches)! It has been a really warm and dry winter here so far. I'm a bit worried about Jan - March for us and how that might affect our Church construction. BTW: the Fire Dept shut us down again because they didn't like our fire hydrant and after 3 years decided the pile of trusses they ruined (by shutting us down so much we ran out of money...the trusses are now dry rotted.) is a fire hazard and needed to be moved away from the parking lot. We had the changes made in one day but of course it took them over 2 weeks before they came back to inspect and lift the stop order. We were already pushed past Christmas for a completion date now, who knows how much longer. After I warped my pressure cooker I discovered that I probably shouldn't have been using it on my glass cooktop stove. I cleaned out some old stuff from my freezer finally. and have decided that I'll just make broth as I need it instead of canning it. Thanksgiving we started setting up the Christmas trees. That took longer than expected as we kept having burned out bulbs. It wasn't until we had everything up that I located our bulb tester. sigh. Kiddo finished up her first semester at college on the 13th and dropped her laptop on a concrete floor. It needs a new screen now...she's paying for that. I know it was an accident, but she should have been more careful with the bag. I've bought everything they asked for and more for Christmas presents and managed to get everything that has arrived wrapped. I've got to go to the store and pick up one order then figure out how to get it wrapped with kiddo being home now. I see your girls were helping you collect kindling... :) What a contrast between your place and mine. Nothing green up here except the fir trees. I am considering turning my meat chicken hoop house into a green house next year. I really do miss being able to harvest my own greens in the winter. How old was that oak tree? It was massive! Love all the pictures; they really do tell the story. It's a strangely mild winter here. Squirrels are in heaven due to the bumper year for black walnuts and not having to dig through snow to find them. Ed. wow, I didn't know Alabama had gotten so much snow! I'd love to have a larger freezer too, but at least I've got something! Storage space never seems to be enough, does it? Renee, I'm sorry to hear about the construction problems! That's annoying. The prospect of your mission trip sounds great! I hope it works out. Susan, turning your chicken hoop house into a greenhouse sounds like a great idea! I'm not sure how old that oak actually is. Dan's chainsaw couldn't cut straight through, so it's kind of been hacked away at. I'll have to see if I can find a good place to count rings. tpals, thanks! I didn't realize squirrels like black walnuts. If they can crack them, that really says something! Ours are pretty happy with our pecans, which are easy to crack. Our gardens are done for the year, and everything is under about 8 inches of snow. We used the last of our ripening garden tomatoes last week, which makes me sad....but the freezers are FULL of garden goodness to enjoy all winter long! We are truly blessed! Your blueberry bush is HUGE - mine is a baby still. I have mine in the center of my fenced veggie garden in a feeble attempt to keep the bears from it! Debbie, bears! Oh my. I hope you are able to get more blueberries than the bears! I'm told there used to be bears around here but no one has seen them for years. Of course, they said the same thing about coyotes, but they've shown up again. Our blueberry bush is pretty old. It was well established when we bought the place almost 9 years ago. It was so overgrown we didn't even know it was there until one of our neighbors came by to tell us about it. I get gallons of blueberries every July. What a gorgeous picture, the bush & the goat (all of them really, but that one is my fav) & I WANT blueberry bushes!! How do you split your bones, I wonder? We are butchering on Monday; I haven't split the bones in the past but maybe I should. Mrs. Shoes, what do you mean by splitting the bones? Most of mine are leftovers from eating chicken, pork, duck whatever, except I do save and use the chicken feet from butchering. After we've eaten and are cleaning up, I just toss the bones into a bag that I keep in the freezer. Around this time of year I make more bone broth, usually my year's supply! Rain, those seed catalogs are a relief from the dreariness of winter! Fires are great, both for warmth and for that cozy peaceful feeling deep down inside. Hopefully when you and Alex get a place of your own you'll have a proper fireplace or woodstove! I haven't received any seed catalogs yet, but I have always loved poring over them and planning my garden. I love gardening, but the house where we live right now that's not possible. I really miss it and look forward to the day when I can have a large garden once again. We used to live only a few miles from Baker Creek. Such a neat place! Love your blueberry bush and I am delighted that this year my four did the same show of color. Don't know if it has to do with age or with the first bumper crop I got this past Spring. But whatever the cause it was beautiful. Meowy has the best tail. I rarely see my cats carry their tails at full extension. Plus such a long tail makes for quite a statement. We went up the hill to cut this years tree today. Snow on the ground but not nearly as lush as last year. Choose a smaller tree as our space is less due to the loom being larger than the previous occupant and no place to move it. Made a fatal choice and got bogged down by ice. Took quite a bit of time to get going but figured it was time for a good tree harvesting story. Tomorrow is laundry and warping another weaving project. Need to get things done with my deadline looming closer . Not to mention next weeks realitvily decent weather screams fence building in doe area. Mary Ann, it would be wonderful to live so close to Baker Creek! And it would be hard not to be able to garden. Before we moved here we lived in a second story apartment where I tried to do a little container gardening on the balcony. I feel blessed to have the ground to plant as much as we want. Goatldi, Meowy has the longest tale of our cats and Sam has the shortest. Their body types match, LOL. Sounds like your Christmas tree fetching turned into quite an adventure! Cold weather is definitely a good time to stay indoors to decorate and weave. Leigh- what are the big, leafy things next to the cabbages under the leaf mulch, and where did you get the seed? We also had a mild autumn, but it's finally gotten cold enough to need a fire all day long. For some reason, damp weather around here requires more firewood than drier and colder- my husband thinks maybe the damp, especially morning fog, draws heat off the house. I finally have a good winter garden, and have the right things under cover. I need to finish my potting benches so that I can concentrate on filling them full of seedlings! Paula, those are broccoli plants to the left of the cabbages. Behind the cabbages are cabbage collards. I bought them all as plants from the feedstore! I believe the broccolis are Waltham(?) I'm not sure but I need to check the marker because they have made the biggest heads I've ever had on broccoli. Now would be the time to start some seeds for a spring harvest. The ones I've already harvested are starting to produce the little side heads, which I love for salads. Glad to hear your winter garden is doing well! Potting benches sound like a good idea. I hadn't thought about wood usage in damp weather. Moisture in the air certainly makes it feel colder. I'll have to ask Dan what he's noticed about it! Haven't tried the other 2 catalogs (though I will be investigating), but I have a serious mad love affair with Baker Creek. It is so gorgeous, and I love the stories behind so many of the seeds. I have spent my weekend stocking up the pantry shelves (and cleaning out some old stuff in the freezer in the process) - Chile verde & posole (both in duck and pork versions), a duck lentil soup on the stove top right now which will also get canned. No winter garden, though I should take advantage of no snow on the ground yet to put shallots & garlic in the ground. It is a nice contrast to how much snow we had last year. It is pretty, but makes chores SO much harder! 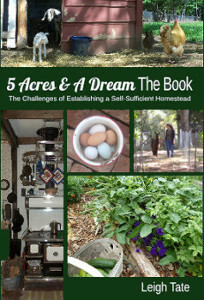 I love seeing how far you & Dan have come on your homestead! Sue, thank you! I like Baker Creek the best but Strictly Medicinal has medicinal herb seeds and plants that no one else carries. So for a serious herbalist, it's a must. The Sow True is new for me, but I love how they are geared toward seed saving. Great charts and information in the catalogue, plus some good prices on seeds. Wow, you guys work SO hard! Your winter jam-making looks amazing - so yummy! All this stuff looks great. The greens growing are wonderful. Also -- I hate a question for you: have you ever heard of "grounding" or the health benefits of walking barefoot outside for a few minutes every day? 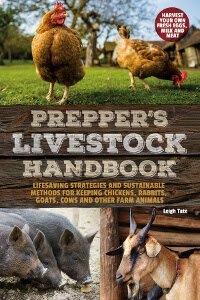 I'm reading up on this and wondering if any of my farming blogging friends have heard of it. Yes, I have heard of grounding and it makes sense to me. I can't say I notice a difference between touching the ground or not, but I believe we were created to be in contact with creation through stewardship and our relationship with the land.